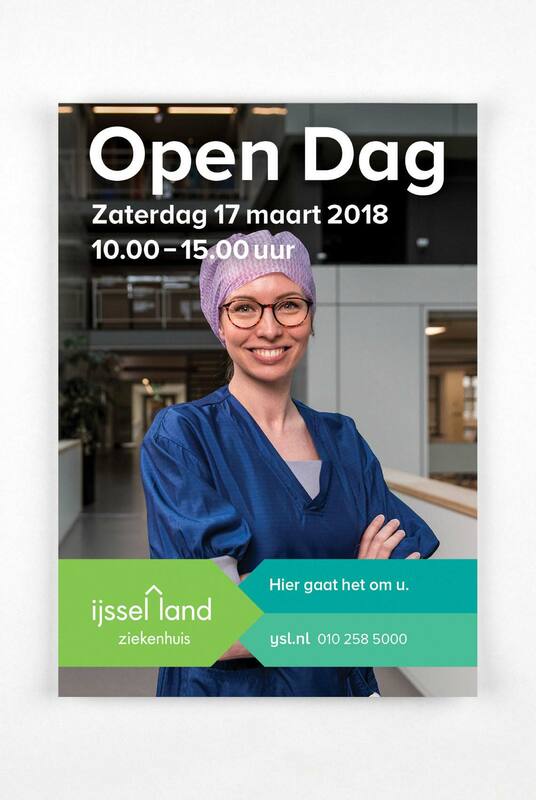 The IJsselland hospital in Capelle aan den IJssel delivers excellent care (7th in the AD’s list) but is less well known than other nearby hospitals. The internal organization has also recently gone through a strong development. 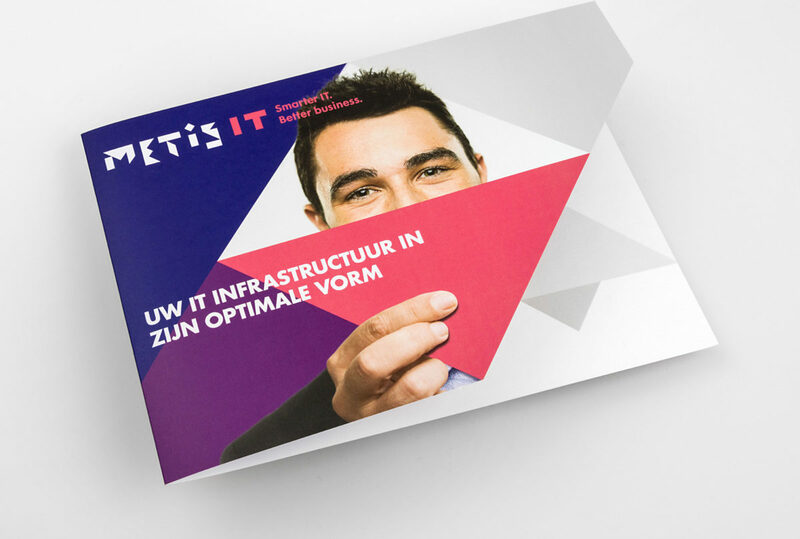 Time to boost the external communication! Here it’s all about you. 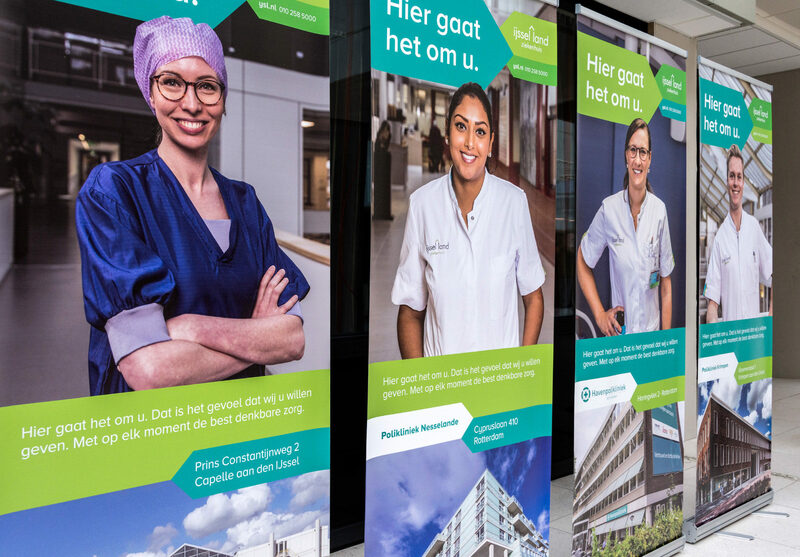 Our friends at Roos & van de Werk worked with employees to formulate the motto “Here it’s all about you.” In conjunction with Roos & van de Werk we translated this distinctive mentality to a campaign concept in which we amplified the daring promises made by employees. 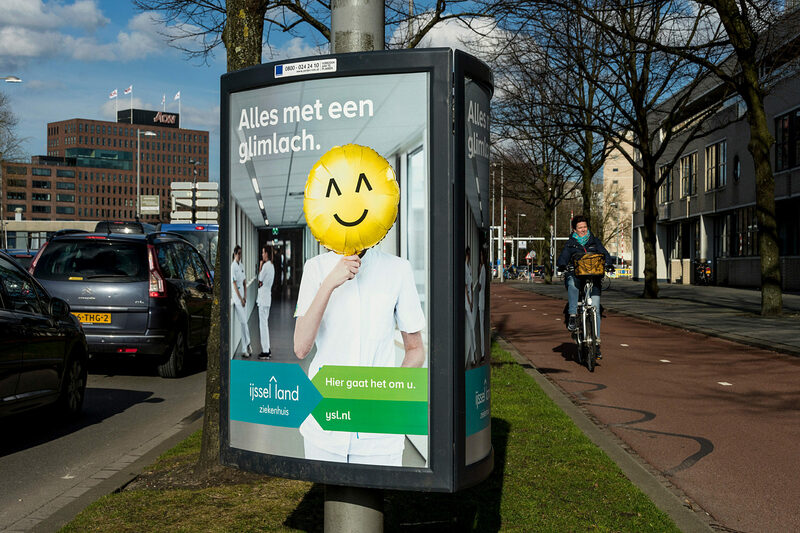 The result stands out because of its warm humor, while at the same time radiating the warmth and humanity which people are looking for in a hospital. 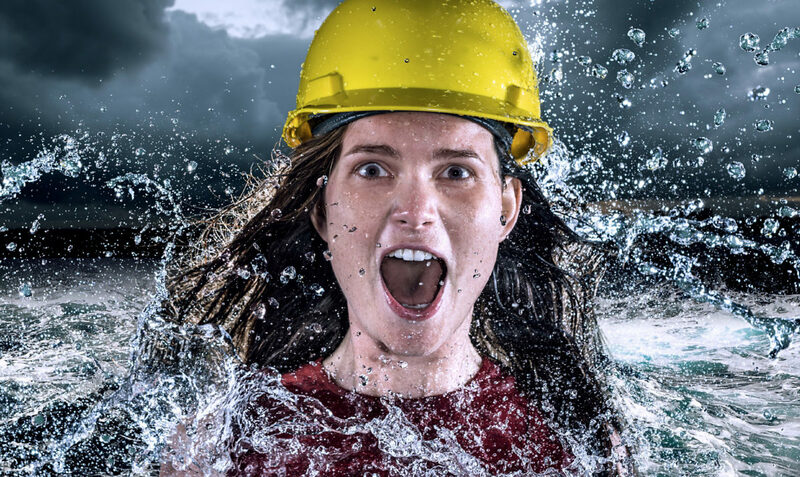 Taken By Storm renewed the visual identity, creating a recognizable style. 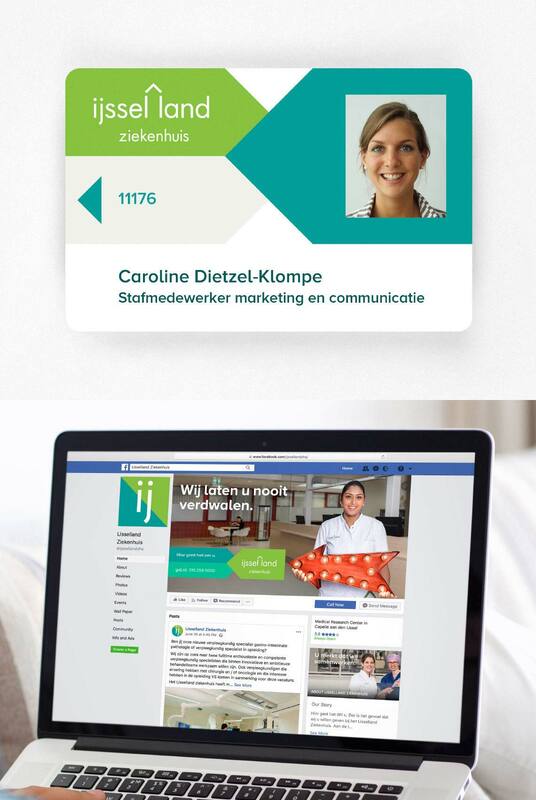 The arrow shapes symbolize the interaction between patient and professional, always pointed towards each other. The visual language is supported by a refined, softer color pallet and friendlier typography. The logo was at first a given, but when we reviewed it critically we decided upon a few clever adjustments. With that, the feel of the wordmark has been modernized without changing its origin. 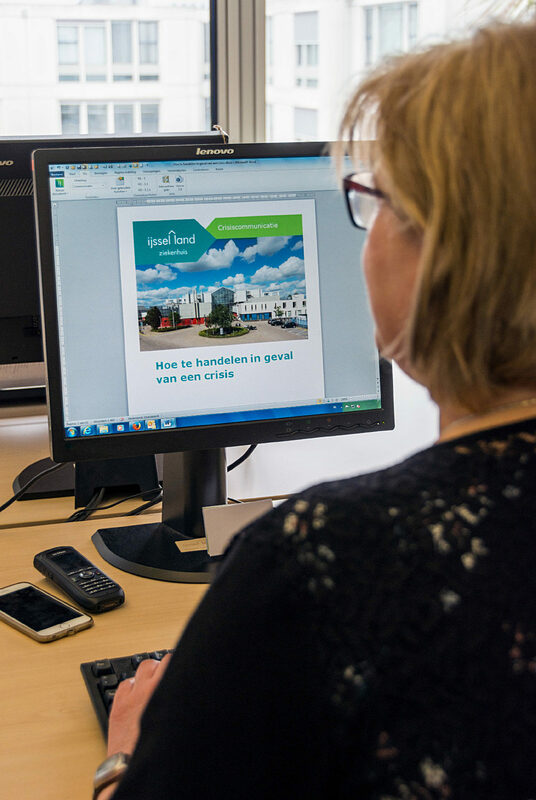 With the help of a practical brand-manual and several Office templates, IJsselland employees can now create a lot of future resources themselves. 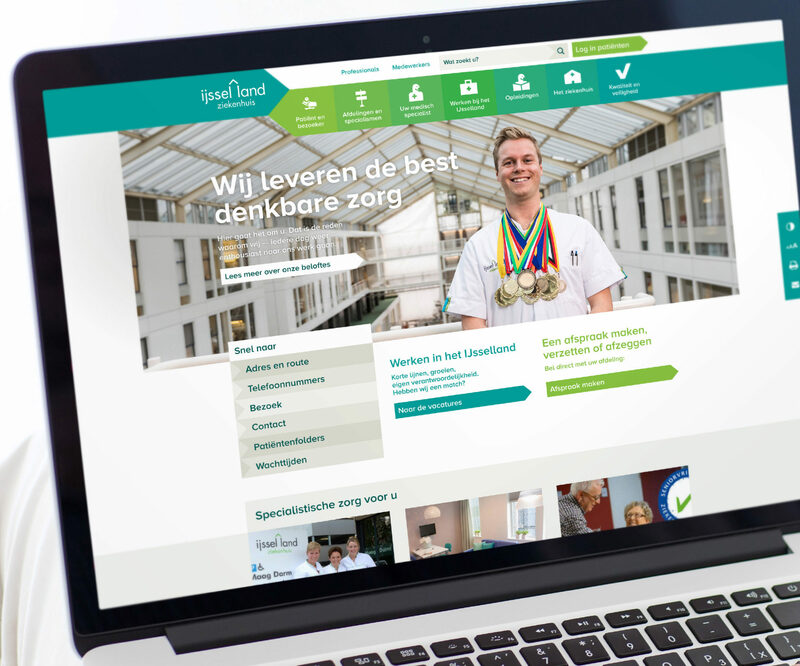 The offline and online result is getting a lot of positive reactions from employees, patients and visitors. A beautiful step forward for a beautiful organization! 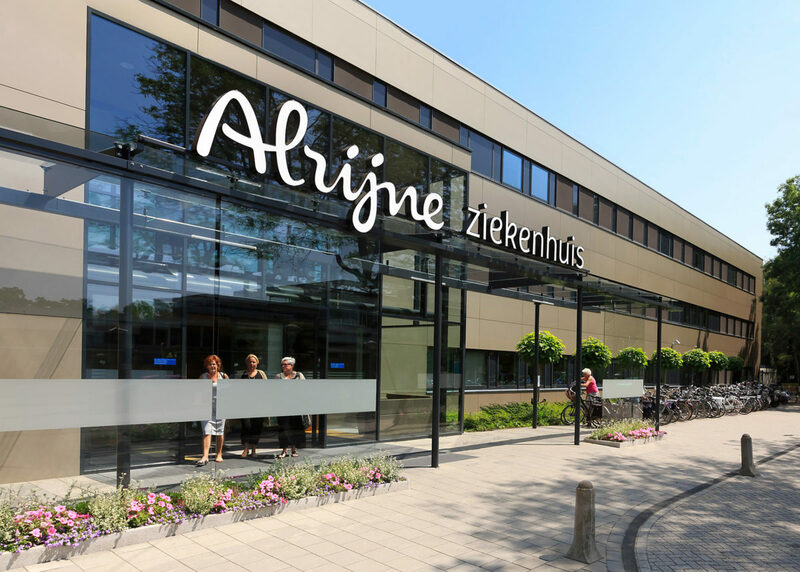 “We deliver the best care imaginable.” With immense pride! 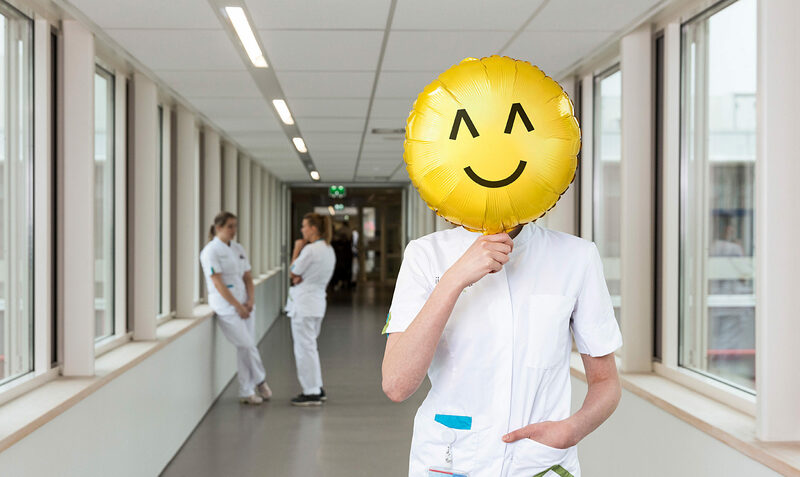 “Everything with a smile.” The promises have been depicted in such a way that they are easy to understand for everyone — and they distinguish themselves from other hospitals. The website has been almost completely redone: navigation, design and a more intuitive and balanced page layout. The hospital has received a lot of compliments about this. Technical realization by Roquin in cooperation with hospital staff. 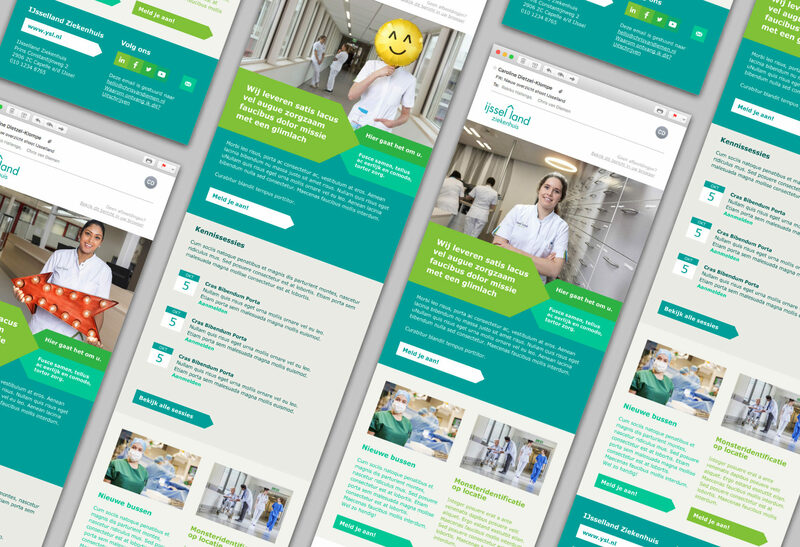 Employees can easily work in the new style because of the toolkit which includes Office templates for newsletters, posters, brochures and reports. 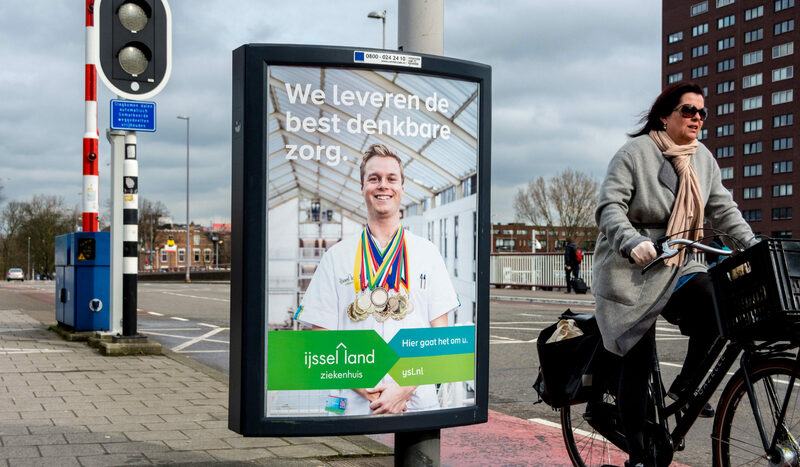 “We never let you lose your way.” The online campaign received an above average response. 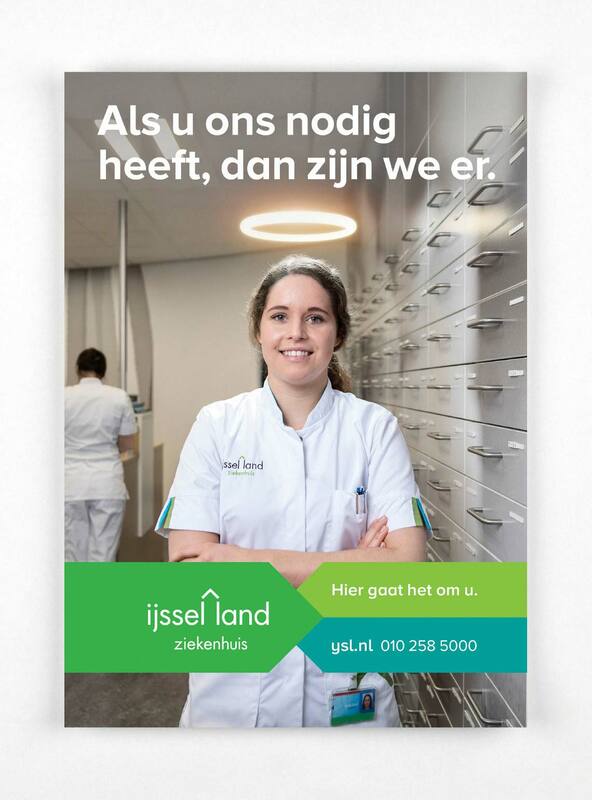 “Whenever you need us, we’re here.” By being on standby 24 hours a day, the employees are literally guardian angels. 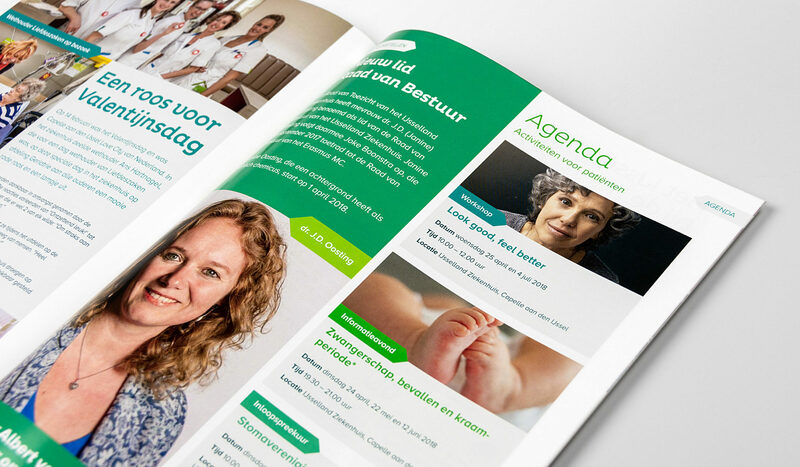 The IJsselland works with multiple newsletters in which the style really does its job. 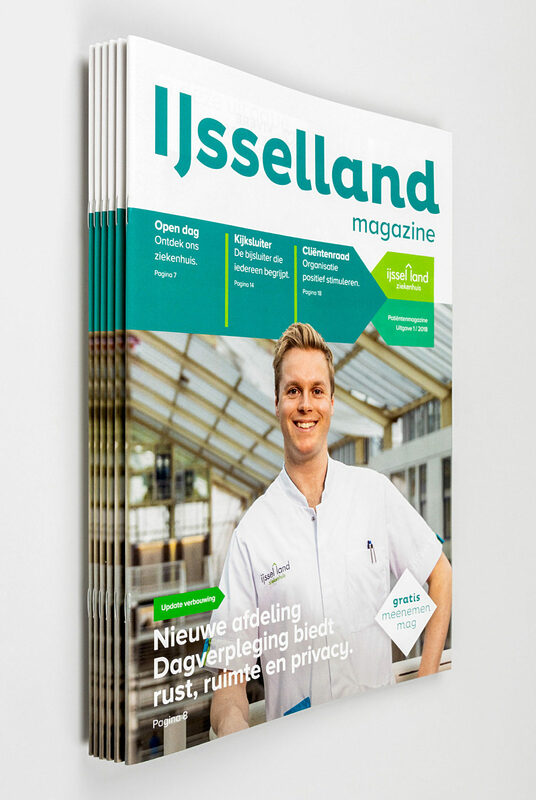 The IJsselland has three magazines for different target audiences. 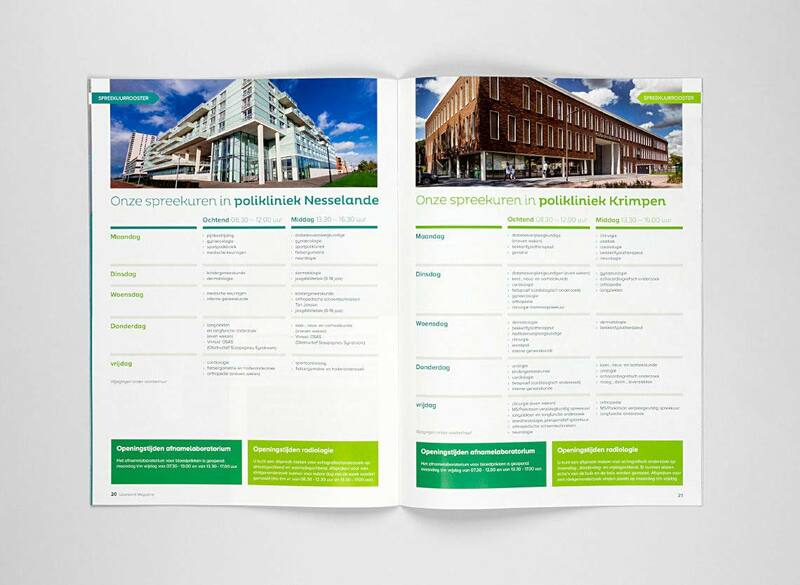 We gave them a clear, fresh look as well as editorial advice to help the message resonate with the target audience. 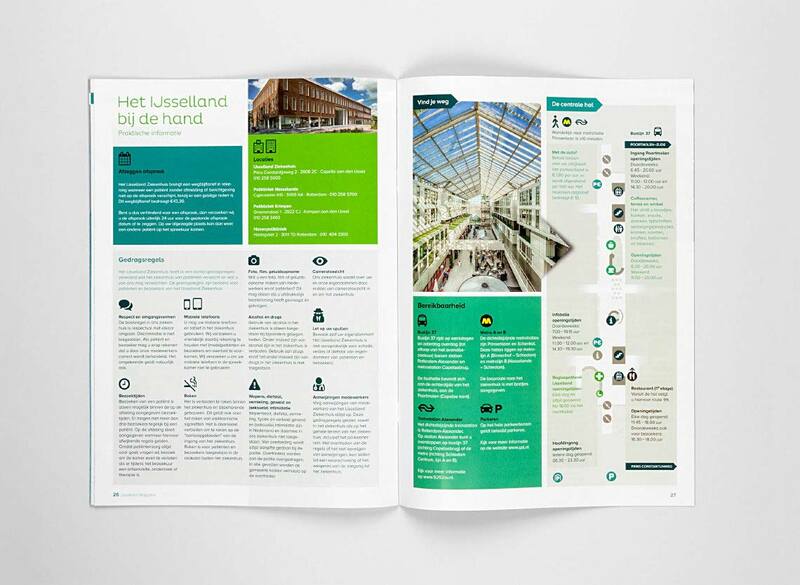 The manual explains logo use, colors, typography, icons, visual language, tone of voice, photography and lots of examples. Creating something new becomes easy. 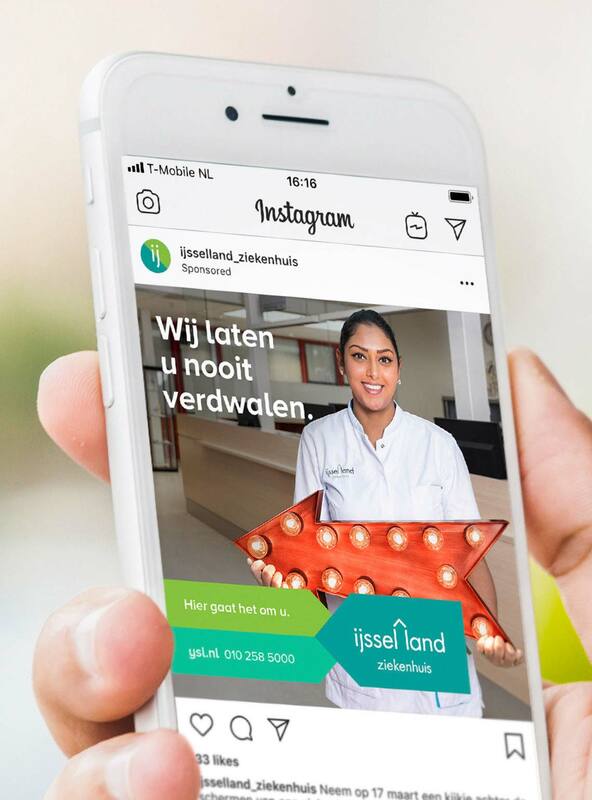 We executed the campaign in cooperation with photographer Jan de Groen and the making of and interviews were done by Hugo van der Meer from Making Of. Thanks guys!